Another plant crocheted with leftover yarns! The dark green yarn was used for crocheting leaves in the previous project. 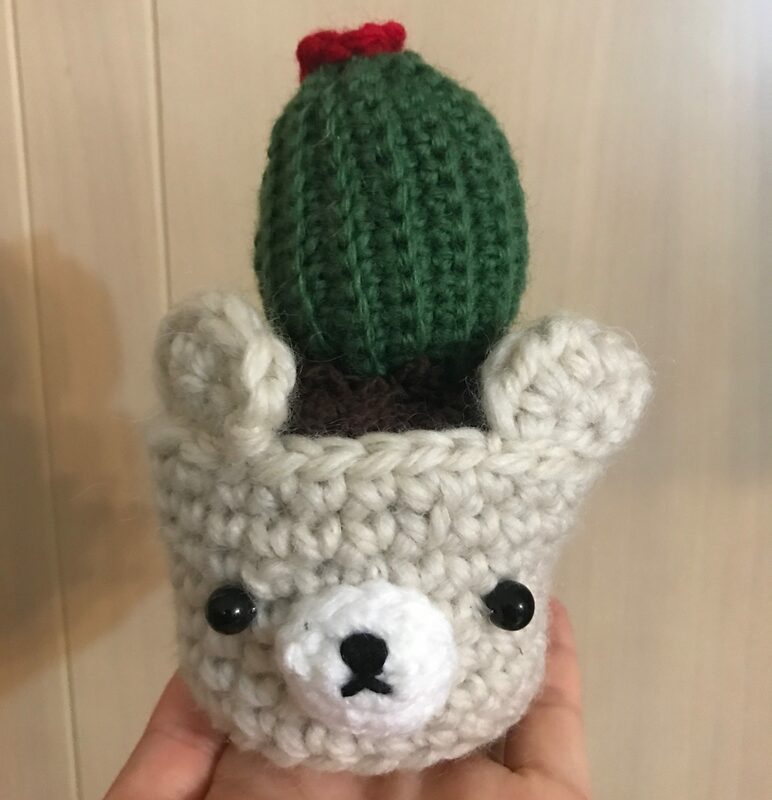 But today, when I held it on my hand, it made me think of cactus in the first sight. 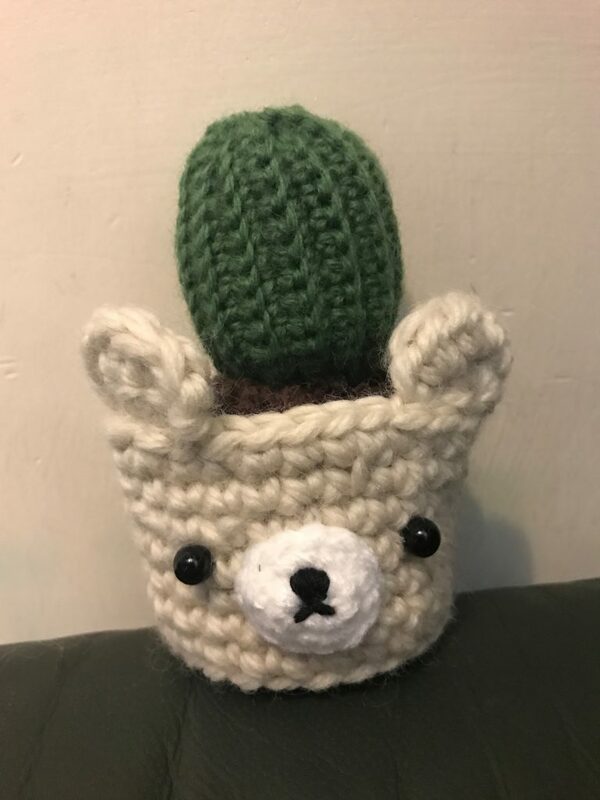 So, let’s make it cactus. 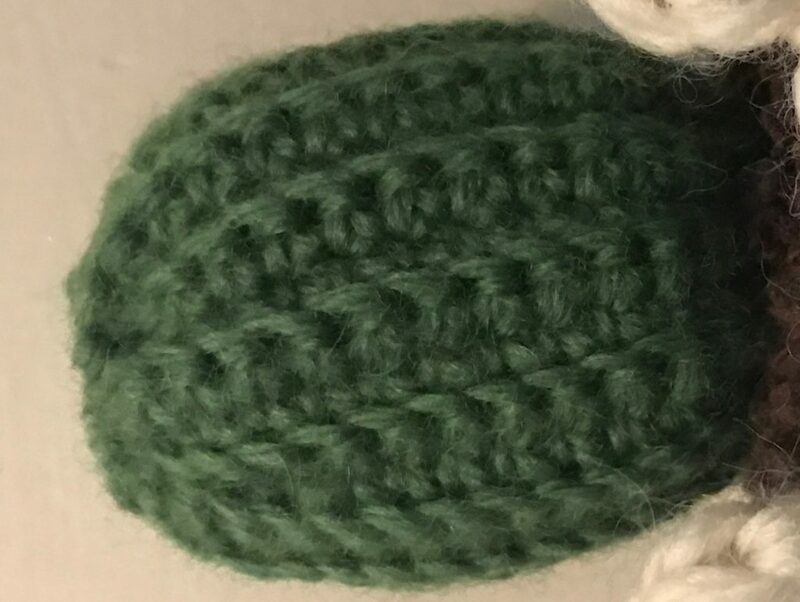 Basically, it starts with chain stitch and then keep doing single crochet on the back loop only so that the front loop would stand out and look like the areole and glochids. That’s why I showed this in a landscape way to let you see how it is formed before attaching to the soil part. 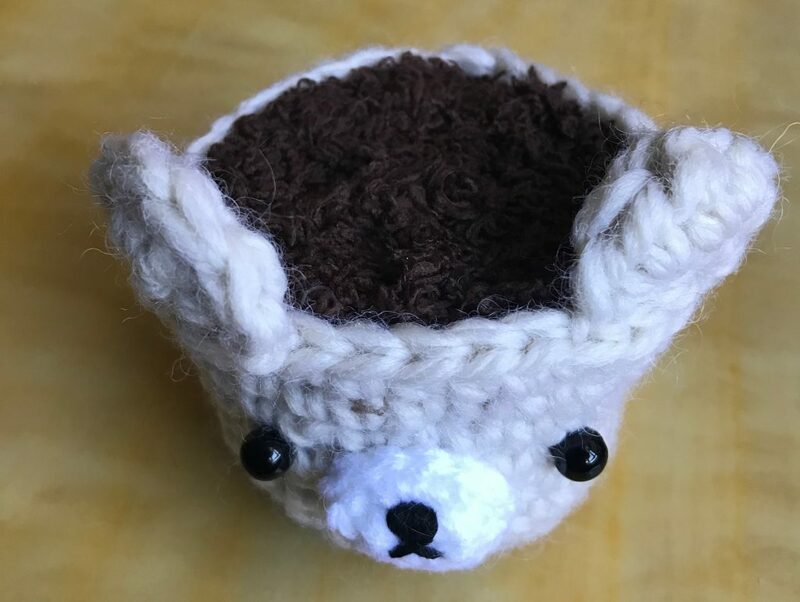 In the previous post, I made a very simple and short brown pot with my limited leftover brown yarn. 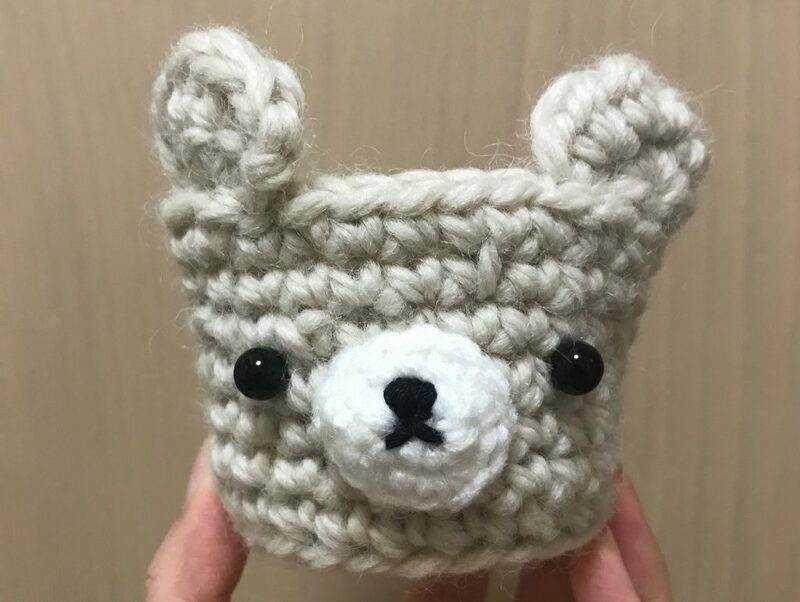 This time, as I have sufficient leftover of this beige color yarn, I tried to create a better and cuter pot by making adding a bear face. 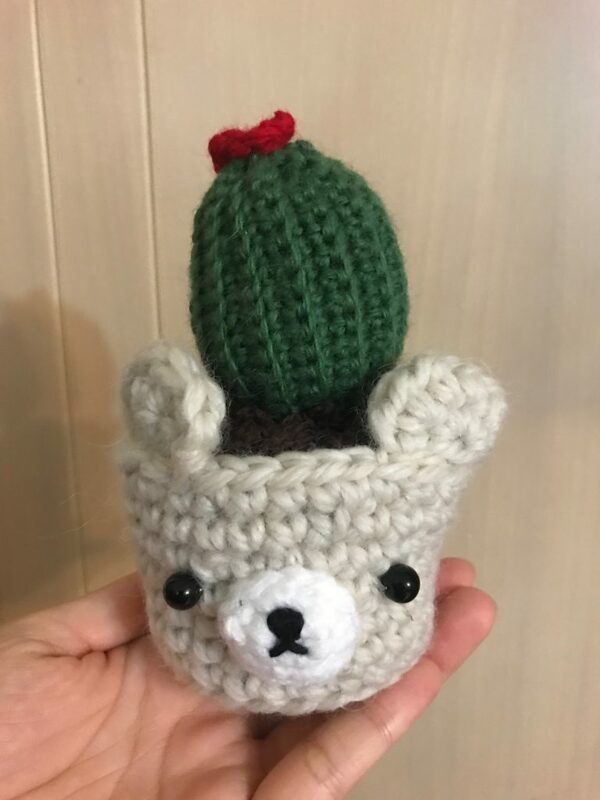 I used the same type of fluffy brown yarn to make the soil part and insert it into the pot. Then sew the cactus onto the soil surface. To make it a little more cuter, which is optional, I made a little flower petal and added on the top of it. And so, it’s done!